-2 sets of weapons would be nice too, like souls as we already have, or something like the mace the Witch king uses in LOtR. 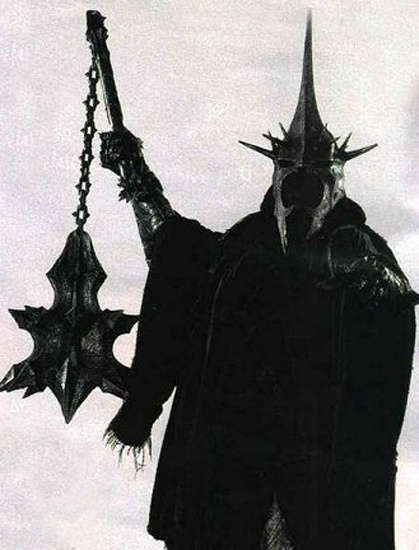 Necromancer would use souls, and the Shadow Lord would use a mace. -The ability to use harvesting tools. -New weapon models for Alber and raid, instead of just recolored textures of the 173 weps. Nights Shadows being the only class without a subclass id have to agree with you on this one. If we can get some content changes this game could go for the better! There will always be a lot of work involved to improve something. NS maybe could even start of with more sp than it already does, to compensate for not being able to farm at early levels. It could bring some balance to pvp perhaps, giving NS a little more variety. Any further ideas and thoughts on this topic before I close it up and pass it along? while i like the idea behind it i would go a different way with the sub classes of NS. by a vanilla player class. i feel like it should add a new element to game play (as it already does) keeping every facet that every other player class has. for example: Soul of night shadow every other class has one but the NS and i think that is not fair in any way, i can take that one further and touch on the quote above. it all comes together here. all other vanilla toons have a dual class for example Mage has Witch and Wizard and at face value (to some) can appear to mean the same thing until you look at the skills of each class and as we all know each class has its own soul. okay try this on for size. like the Witch and Wizard they appear to be the same thing but the skills will be extremely different. it would not be impossible to make the ns where they can do melee damage with a Scythe and the reaper class is born. the Reaper would have the ability to turn Ethereal to absorb damage but reduce crit and deadly chance. i know one of the biggest arguments with this will be that the Sorcerer already uses a Scythe but if you think about it the Fallarm is not even a real weapon it only exists in LC so it would not be out of the ordinary of to make a new name for the NS Scythe. like short scythe or cursed scythe. and OFC there will/ should be a soul for both classes for harbinger it should be easy to take the skull for the Judgment skill and make that into the Soul. that would work. the reaper could be a bit more tricky as not to take away from the Sorcerers Soul. anyways this is my take on how to bring the NS up to date. im sure some of you will find a lot of faults with it but considering this is the first time im ever putting it on paper so to speak, there are bound to be flaws. i think it would be a great addition to the Character classes, having said that im interested in the OPs idea on the direction he thinks the NS should go. i would like to hear a little more about the skills each class would have and so on.